I finished the journey from South Vietnam to North Vietnam faster than I anticipated. By the time I arrived in Hanoi, I still had 12 days left until my flight to Bali. Hanoi is Vietnam's second largest city, right after Saigon, with 6.5 million people. Many backpackers use Hanoi as a jumping point to Ha Long Bay or head further north to trek Sapa. A downside of being on the road for so long is the fact that now I'm picky about what I spend my money on and how I spend my time. I've seen the Avatar-like looming islands of Australia, Thailand, and the Philippines. I've trekked amazing rice terraces in northern Philippines, a highlight of my time abroad. It kind of takes a lot to amaze me when it comes to lush scenery and islands at this point. (I know that sounds really egotistical, but that's honestly what happens after you've been traveling for awhile.) 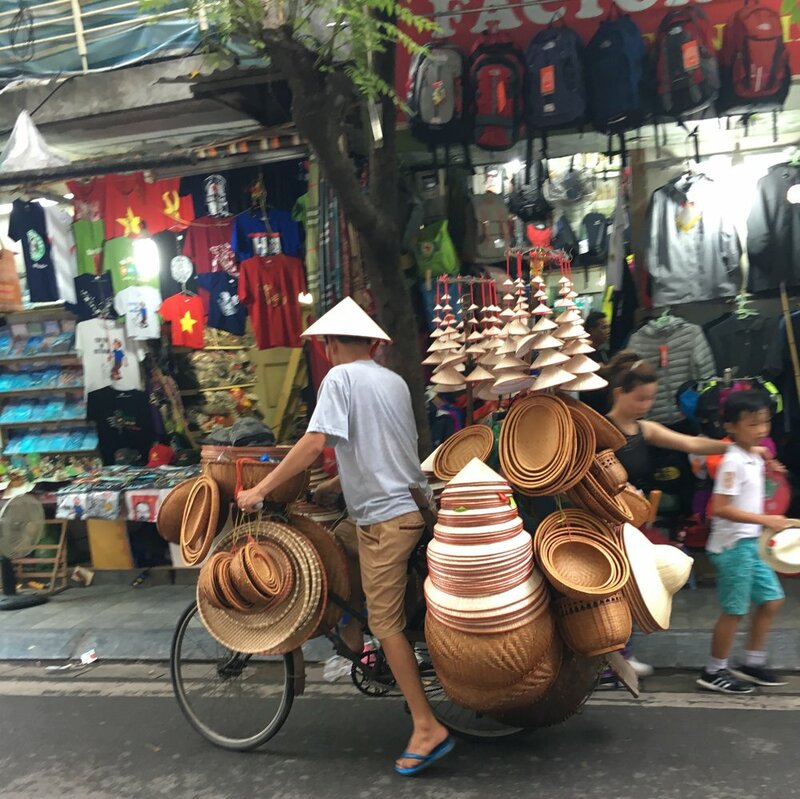 I didn't feel like paying money to see the same sights in Vietnam, which meant that I was going to spend nearly two weeks in a fast-paced city with zooming motorbikes, crumbling sidewalks, and nonexistent traffic rules. The surprising part? Hanoi became my favorite city in Southeast Asia, beating out Kuala Lumpur, Bangkok, Manila, and Yangon. Most people tend to hate major cities, especially in Asia. 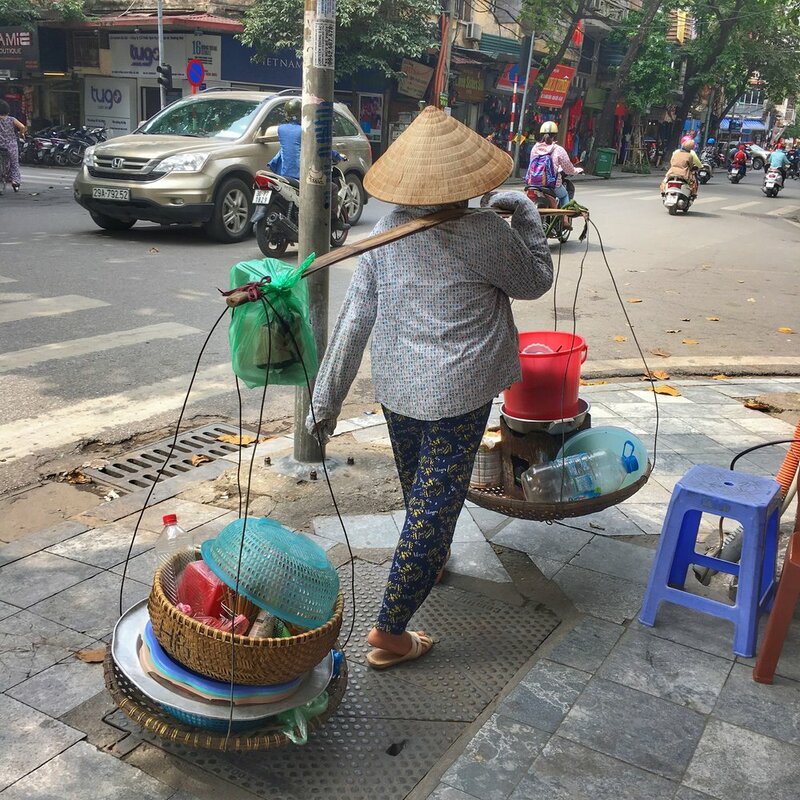 I don't actually mind the hustle and bustle of these cities and I found Hanoi to be easy to navigate, tourist friendly, and safe. And who could explain Hanoi better than Barack Obama on his visit to the capital in 2016? On this visit, my heart has been touched by the kindness for which the Vietnamese people are known. In the many people who have been lining the streets, smiling and waving, I feel the friendship between our peoples. Last night, I visited the Old Quarter here in Hanoi and enjoyed some outstanding Vietnamese food. I tried some Bún Chả. Drank some bia Ha Noi. But I have to say, the busy streets of this city, I’ve never seen so many motorbikes in my life. So I haven’t had to try to cross the street so far, but maybe when I come back and visit you can tell me how. I stayed at Nexy Hostel for 9 nights, a modern hostel with fantastic wall art, comfortable beds with thick duvets and privacy curtains, and a common area complete with a pool table. I met Nick the first day I arrived - another American! (Yes, I still get excited meeting other Americans on the road.) A few days later, Kevin, one of Nick's friends from LA, arrived in Hanoi. So with 10 days ahead of me, I allowed myself to slip into a routine that had escaped me for most of my trip: a regular sleeping schedule, expat-friendly cafés, good breakfast spots, going to the movies, and watching the local life play out on the streets on the weekends. Nick and I stumbled upon Hanoi Social Club on our second day in the city. The café kept showing up on lists of best breakfast spots and digital nomad cafes. It was an expat hot spot, with many foreigners grabbing a table for Vietnamese milk coffee and delicious Western dishes (I definitely indulged in their French toast more than once). The café was off a main street in an alley; a reclusive spot from the craziness of the city. With three floors and plenty of tables, it was easy to find a comfortable spot here. I needed the time to organize all of my travel photos, figure out my travel plans, write my blog posts about Vietnam, and - of course - practice how to solve my newly-bought Rubik's cube. When we finally closed up our laptops at Hanoi Social Club, my favorite part of Hanoi to explore was the massive lake that sits in the center of this metropolis. The lake itself is an interesting green color and it's questionable if there are any living animals in it, but the surrounding area is beautiful. On the weekends, the traffic circle is closed to motorbikes, taxis, and cars; the entire area around the lake becomes walking-friendly. The lake is a respite from the chaotic city and this area is definitely the best way to see local life playing out on a Saturday afternoon. Children play a game of tug of war, drive around their little remote-controlled Range Rovers, and jump rope. Teenagers play a game of da cau (basically hacky sack with a feathered birdie), bumping the ball off their chest or kicking it behind their backs. A group of girls dressed in black leggings and ball caps attract a large crowd around them as they whip out dance moves to Vietnamese hip-hop tracks. Old men sit on tiny plastic chairs on street corners, downing beer and sucking tobacco out of massive pipes. Women line up their yoga mats inside a gated area to celebrate World Yoga Day, a city-wide sponsored event. What's incredible is that less than seven years ago, this area of Hanoi was decrepit. The lake was empty, visitors were limited, and drug needles littered the same ground where children played. The government invested time and money into rehabilitating the area, renaming the park Reunification Park and creating a green space for locals. Today, the lake is a central part of Hanoi and enjoyed by locals and foreigners everyday. As Nick, Kevin, and I made another loop around the lake on a Friday evening, we paused to watch children line up to play a game of tug-o-war. Locals immediately insisted that we join in. Nick and I were hesitant - we didn't want to ruin a game for kids! But we jumped in and joked that we would take it easy so that the kids could do the majority of the work. 3...2...1! PULL! Nick and I were abruptly pulled to the front and suddenly a friendly game of tug-o-war turned into a full on competition to get the momentum back from the other side. 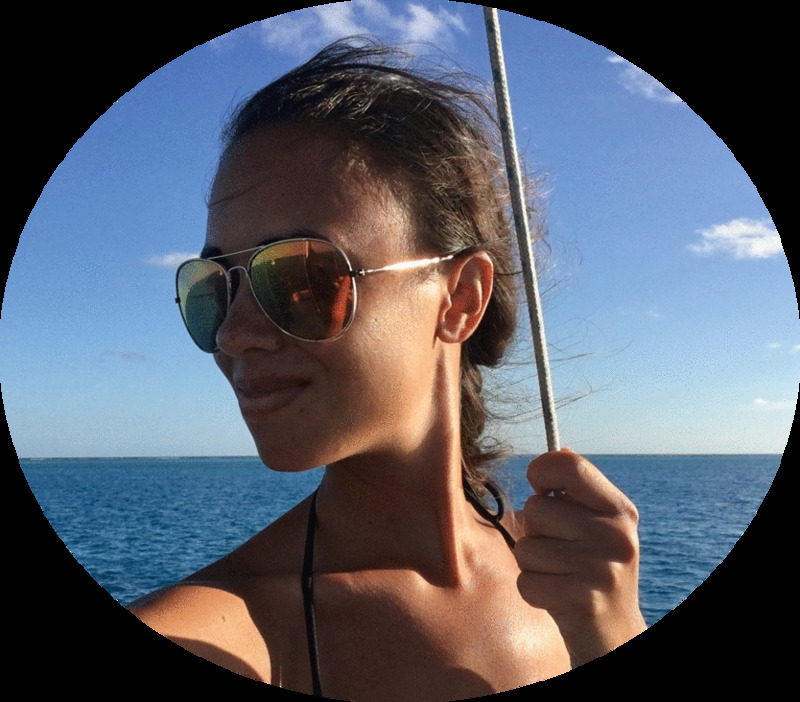 I burst out laughing from surprise as my flip-flops slid forward and my grip on the rope loosened. Another adult jumped in to help pull for our side, but within minutes, the other side came out victorious! Lesson learned to never underestimate children. As we continued our walk around the lake, a Vietnamese teenager approached me. I was hesitant at first, but then quickly realized that him and his two friends wanted to practice their English with us. I've been approached in many cities by university students asking to practice their English, usually with a clipboard and a list of prompted questions (Are you on holiday? Where have you been in Vietnam?). These guys were in their early 20s, studying business management and tourism. We asked them what food they would recommend in Hanoi, how to say hello and thank you in Vietnamese, their favorite things to do in the city. They asked us how old we were, where were from, how long we were traveling for. The exchange reminded me of how millennials across the world are more similar than different. Here we were, three Americans in the second largest city in Vietnam, talking to three Vietnamese guys our age. We quickly found that we shared a love for many things: ice cream, Pokémon Go, Barack Obama, and social media. The conversation turned to the ever-present traffic in Hanoi - all three of them grew up driving motorbikes. "Have any of you gotten into a motorbike accident?" I asked. They all smiled and pushed one of the boys to the front of the group - a small scar ran along the side of his face. There may have been a language barrier, but we definitely understood that this guy had walked away from some kind of motorcycle collision. "Any tips for crossing the road here? What's the secret?" I thought they would hold the answer - that there must be some way the Vietnamese make it from one side to other unscathed. They shrugged. "We joke that you have to just close your eyes and cross!" The rest of us burst into laughter - sounds about right! Kevin, Nick, and I with our newfound friends. The next night, we met up with some of Nick's friends who were staying at a party hostel. I was instantly out of my element - beer bong, flip cup, 2 for 1 free beers, free shots. So this was how the other side lived! We kept the night going, hopping from one bar to the next. At one hostel, if guys dressed as girls and girls dressed as guys, they got half off their drinks at the hostel bar. The cross-dressing made for some great people watching as we worked through our beers. The streets lined with backpacker hostels are also lined with bars, kebab stands, and neon lights. Motorbikes crowd the street as stumbling backpackers weave between them. Backpacking is easily an alternate reality and its darker side comes out at night. Whatever you want to find, you can find it in on a city street in Asia. It can be unnerving. At midnight, the Vietnamese police begin their rounds. Vietnam is ultimately a Communist country and a curfew is enforced. I'm not sure if bars pay off the police to keep the party going, but we were warned over the loudspeaker that the cops would be showing up in 15 minutes and that we would be herded into the bathroom with the lights off. I have no idea how bars keep drunk backpackers quiet, but I didn't get to learn the answer because we left the bar to find chicken kebabs instead. Minutes after midnight, the police roamed the streets in open trucks and army green uniforms. They hollered Vietnamese commands into a loud speaker. The kebab owner, who spoke no English, emphatically made hand motions to move us from the our little stools on the street to the inside of his shop. We watched the Vietnamese police roll past bars that had somehow managed to close up shop in less than five minutes. In Hanoi, the party continues on behind closed, sheet-metal garage doors. With the night behind us, we found our way back to our hostel. 10 days had passed in a blur; I had a flight out to Bali the following day. Hanoi surprised me. To be honest, all of Vietnam surprised me. A Communist country with anti-American ties evolved before me in a matter of weeks: Vietnam morphed into a stunning country with lush landscapes, open roads for exploring, friendly locals, and plenty of laughter with new friends from across the world. I'll be back, one day. Bonus: a random, huge jackfruit just chillin on the side of the road. If I'm being honest: My experience in Hanoi was more awesome because of the people I was with. Don't skip Ha Long Bay or the northern rice terraces if you've yet to see anything like them.